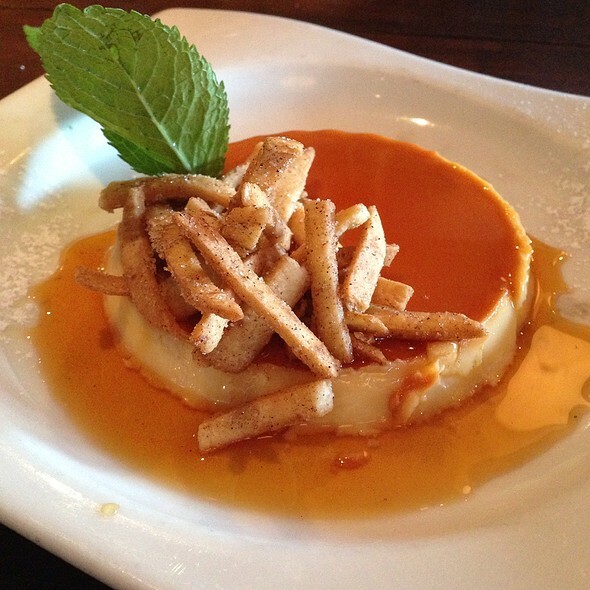 You must make reservations at least 5 minutes in advance of the time at Talavera Cocina Mexicana. Mexico, home of Talavera, the unique fine art pottery from the 16th Century, native of the city of Puebla. This genuine and refined Mexican spirit of the Talavera art sets the ground for the spirit of our menu. 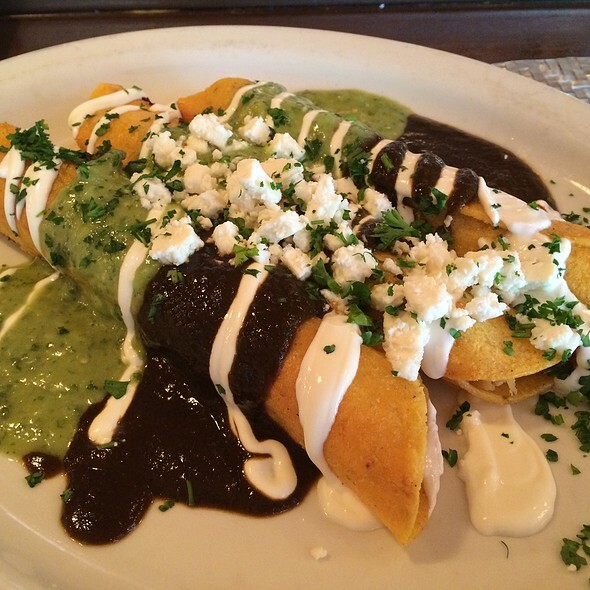 From the "Huarache" grill, a series of delicate dishes served on a corn tortilla base, to a variety of regional specialties from Sonora to Oaxaca, from Michoacan to Puebla, from Jalisco to Yucatan. Talavera, the art of a genuine and refined taste of Mexico. Best Mexican restaurant in Miami hands down. i ordered the Mexican salad with seared tuna on top. the tuna was really good. the salad was ridiculous for the price. Minimal amount of corn or black beans. if it had been my only item, it would have been extremely disappointing for the price. too expensive for what I got. The tuna was very tasty and well done. The tamarind margarita had a really weird taste and i had to send it back. the regular margarita was much better. the service was good as was the environment. Based on the great reviews, I expected it to be a little nicer inside. It was very busy and loud due to the music. I wouldn't waste time ordering their margaritas. They have way too much mix and were quite sour. I got the red snapper and it was good, slightly over seasoned. For the price point, I don't feel it's worth more than 3 stars. Guess it's just par for the area from a price perspective. I think you can find better Mexican food for a better price elsewhere. We took advantage of the beautiful outside seating. The cilantro margaritas were outstanding, the food was very good as well. Best of all was our server who went above and beyond to make our experience a memorable one!!! 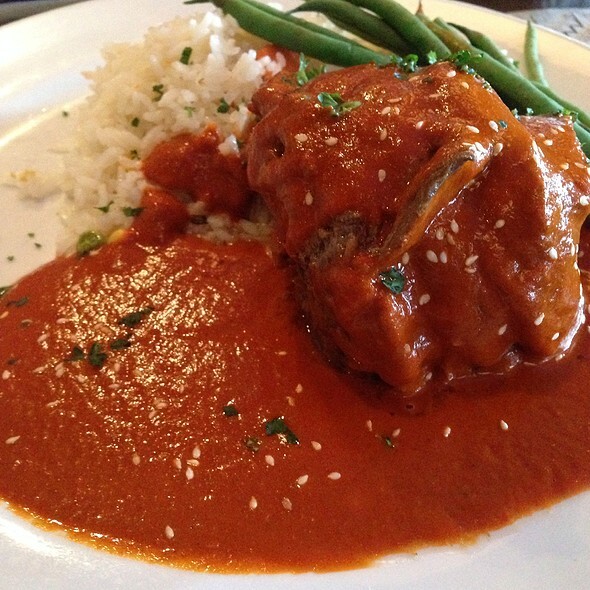 I never worry when I go to Talavera -- the food is consistently good and the service is always great. The outdoor seating is perfect on a mild day or evening. 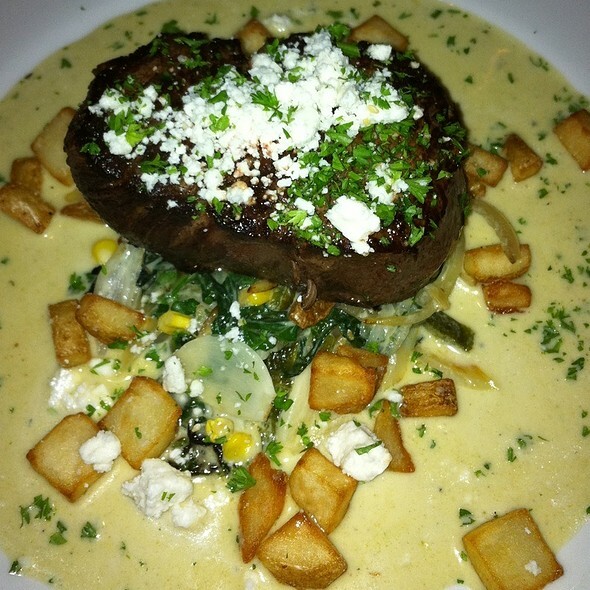 It's a meal and dining experience you can count on. Food was great! Had a dirty glass that I had to ask to be replaced. Otherwise, great first experience! Good service, delicious food. We will go again. Birthday dinner. Group of 4. We did not get a waiter for over 20 minutes even after we asked. We were then switched to 3 waiters throughout the meal that didn’t know what the other/s had put in the computer for us. It was not a good birthday experience for me. I was so excited to go because it was my first time there. Good food; good ambience. Overall good meal. I will return. I have eat soo many times lunch or dinner, trying different dishes and all are excelent. Service within reazonable waiting time, personnel always polite, I would recommend it definitely of course!!!!!! The food was delicious. Especially the fish ceviche and the margaritas! Service was very spotty. In fact the manager had to step in and take our initial drink orders. Overall we would definitely go back. Maybe we'll get a better waiter on the next visit. The hostess was so unfriendly, walked us around an empty restaurant and sat us at a high top where there were no servers when we arrived. The hostess did not even acknowledge that I had a reservation, etc. I felt that a welcome and a smile would have gone a long way. Our server came by after I went to the bar and ordered drinks as we had been waiting about 15 min, the young man who brought the chips and water was very attentive and kind. Once the waitress appeared, she let us know she just got there, when we told her our drinks were ordered, but she definitely warmed up to us as the evening progressed. The drinks and food were outstanding as usual. For that reason I would recommend to a friend, because the food is always reliable and delicious. The service has declined since the last time I was there, and I would consider other venues the next time I am in the Gables, as there are many other quality restaurants in that same area in that price range. I walked and we told the young lady there that we had reservations. She looked at his with this face of confusion, we give her the name on the reservation and she took forever to find it. She ended up finding it, grabs menus and walks us to our table. She turns around and goes oh it’s not clean. Me: Umm so why did you walk us here? My huband and I sat down, looked at the menu, and walked right out. Place was made to seem that it was a sophisticated restaurant and you walked in and it looked like a pub bar. This was a disappointment beyond belief. It was a way to casual place for the prices of the menu. Not worth my time. 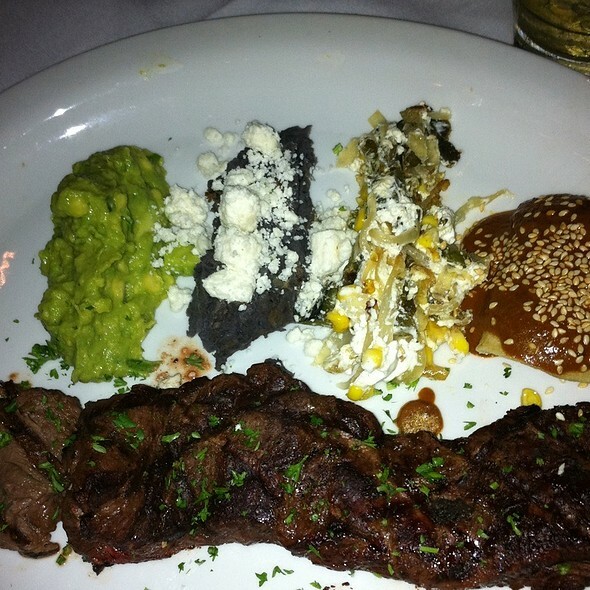 This is great place for authentic Mexican regional specialties; I don't mean Tex Mex. Menu has seasonal specialties. 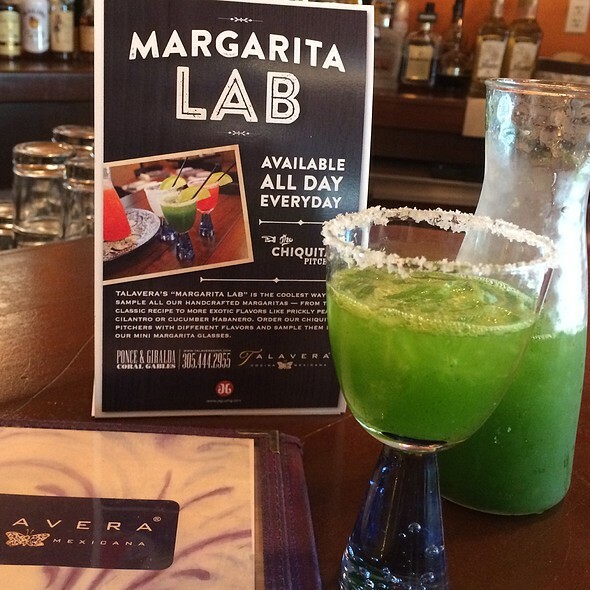 Great Margarita's as well. Can be a bit noisy at peak times. We were fairly disappointed by Talaverna. The first impression was a very unhappy hostess who did not acknowledge us at all, just said "follow me", walked us to a table and dropped menus. Didn't say normal things like "hello" or "good evening" or tell us the name of our server. Chips and salsa were brought to the table, the container will filled with broken chip pieces, 5 whole chips and the rest were all little tiny broken pieces. Our busser saw me take a photo of it then suddenly a new bowl of chips appeared on the table. Our server was kind and knowledgeable but slow. Our food was good but for $100 for dinner, I expected it to be great. Meat wasn't seasoned enough, it relied on the flavor from the sauce which also did not have much flavor. We probably would not come back as we were very disappointed with our anniversary dinner. Love the unlimited chips and salsa! Too loud. Server was very unfriendly. My tacos were cold. Slow service. 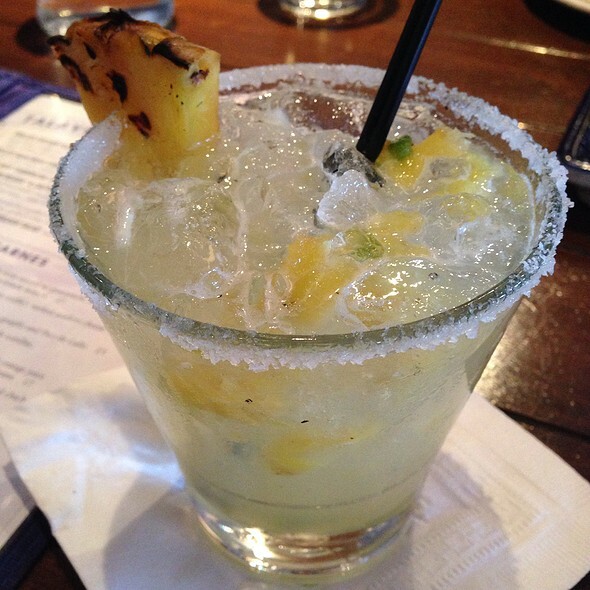 Great margarita! Felt we did not food was not a good value for what we paid. Always enjoy coming to this restaurant for some authentic Mexican food. The service, however, could have been more attentive. Not a major problem but have been served better previously. 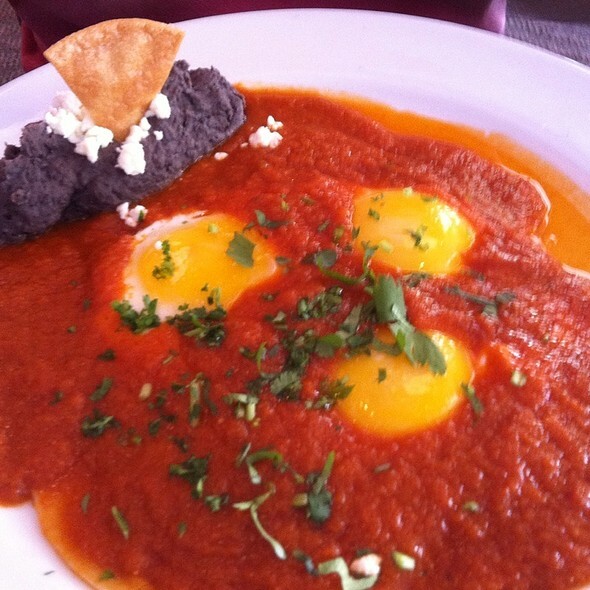 Went there on Sunday for a Mexican brunch - huevos rancheros, chilaquiles, queso fundido. It was excellent and the price very fair. We had a good time and a good meal. Food was pretty good overall, and the mango and quinoa salad was top notch. Service at our table was excellent. The only issue was with a server who greeted us at the door. I have an honest-to-God service dog for mobility issues (I have ALS), and the server insisted we should have a “certificate.” I explained the law to him— establishments can only ask what specific tasks the dog provides, and there is no national or state certification— but he kept saying his boss required the certificate. We were eventually seated, but the encounter put a damper on the evening. The Mariachis were good, helped with the ambiance, the service was not good and my husband's dinner was good, mine was not. Great food, drinks and music! 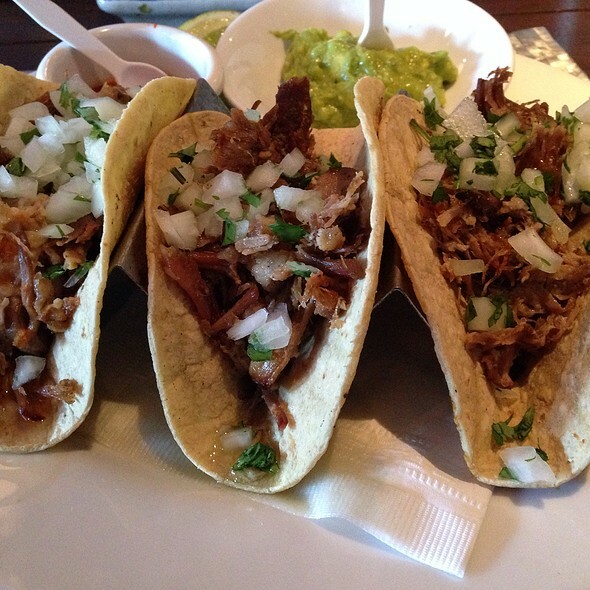 Delicious, traditional Mexican food! Don’t miss the mole!!!! Wonderful food and service. Would like a little bit more light; hard to see the menu. Absolutely amazing! Best Mexican I have ever had!!! Great food! Awesome Mexican dining experience!